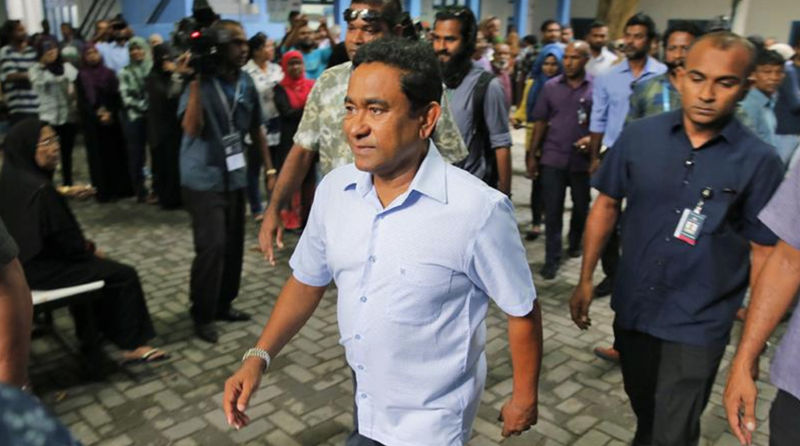 President Abdulla Yameen filed a legal challenge, on October 10, for the presidential election held on September 23. Yameen lost the election to the opposition leader, Ibrahim Mohamed Solih. Lawyers for President Yameen and his party, the Progressive Party for the Maldives (PPM), claimed supporters who raised concerns about corruption by the independent election commission. Lawyers have filed an official complaint with the Supreme Court. A spokesperson for the Supreme Court has not confirmed whether the court will accept the case. Threats from PPM supporters have caused four of the five members of the election commission to flee the country. The chairman of the commission, Ahmed Shareef, explained that supporters gathered outside of the homes of commission members, accusing them of rigging the election in favor of Solih. Yameen had lost the election, by a 16 percent margin, and conceded defeat, the next day, to opposition leader Solih. The European Union and the United States had threatened the country with sanctions if the election was not fair and did not have a peaceful transition of power. Although Solih is not a widely known political leader, he was nominated by the Democratic party (MDP) with support from four other smaller opposition parties. Parties which have leaders that have either been jailed or exiled by Yameen. Yameen’s presidency has not been free of turmoil. Earlier this year, Yameen was suspected of siphoning $79 million from the country’s tourism revenues to private accounts. The money was then used to bribe legislators and government officials. Yameen denied any connection to the scandal and the blame was put on former cabinet members and his vice president. Nearly all of the president’s political rivals have been jailed and hundreds of protesters have been arrested under Yameen’s command. Yameen has jailed his vice president, Ahmed Adeeb, his half-brother, Maumoon Abdul Gayoom, and Maldives’ first democratically elected president, Mohamed Nasheed. “People were not expecting this result. Despite the repressive environment, the people have spoken their minds,” said Ahmed Tholal, a former member of the Human Rights Commission of the Maldives. Yameen has not commented any further on the charges filed and will remain in office till November 17, the end of his term.